SureCoat Systems was created with the focus of serving the multi-billion dollar coating industry. With that in mind we developed an exclusive line of vertical and horizontal surface coating products for Single-ply Roofing Systems, Flat Roof, Metal Roof & Concrete Restoration. 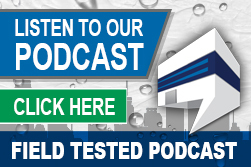 Originally produced for industrial use SureCoats single-ply roofing formula has been reformulated for your residential and commercial real estate. 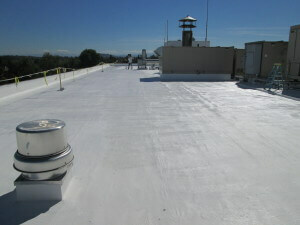 Originally this material was made to take the place of urethanes over SPF roof systems. It emits 93% of heat and has a reflectivity rating of 81% (after 3 years aged in Florida, Ohio and Arizona, tested per CRRC guidelines). The perm rating is .019, yes numbers to the left of the decimal. This single-ply roofing product has baffled several chemists as they have never seen a material with such a low water pick up. This is coming from scientists who have Chemistry degrees and make their living developing coatings with years of experience in the resin/additive business. SureCoat’s product is CRRC rated under Sure-a-thane #1098-0001. The perm rating on this material is outstanding, it is .019. With a high solid content of 65% by volume (81% by weight) it leaves 10.426 dry mils per gallon per square. In order for an elastomeric to work it has to be able to move without getting brittle and without tearing. The 398% elongation provides enough movement without memory failure so that it never gets brittle! 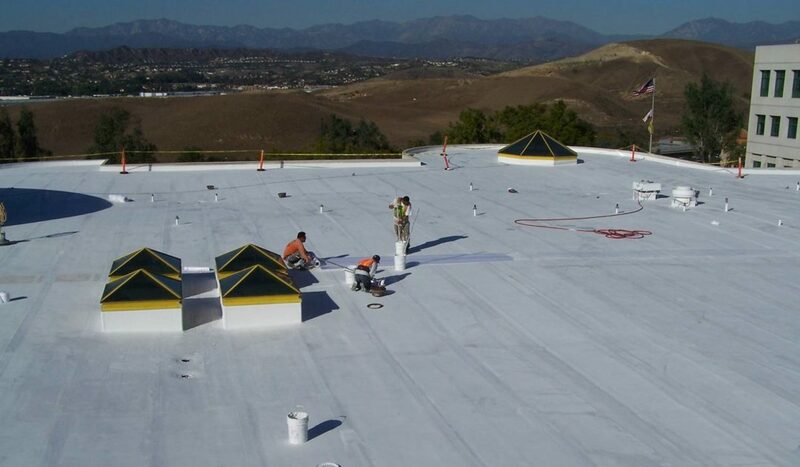 The SureCoat Roof Reconditioning System works by cross linking high-end resins and proprietary materials to form a fluid cold applied monolithic membrane that is self adhered, self flashing, and self priming. It works over every type of roofing system on the market including single ply such as Hypalon, EDPM, TPO, PVC, it even works on metal, existing BUR including gravel, modified, concrete and of course SPF. Most single-ply roofing coatings are only 35% to 50% solids by volume leaving only 5.614 to 8.02 dry mils. SureCoat leaves almost twice as much material on the roof as some coatings. The labor to install 2 pails of any thing is going to take twice as long as it does to install 1 pail of SureCoat. With workers compensation insurance premiums going through the roof for even cold applied products, every dollar counts. Two projects can be done in the time it takes to get one done with multiple products, steps, and wait times between layers.